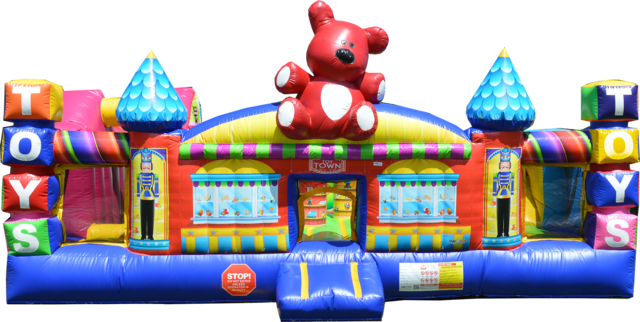 The toy town toddler play land is the cutest bouncer for any type of event. It fits particularly well with a carnival theme or "Toy Town" theme event. Use it for a holiday event for a toy land theme or it could even fit a Candy Land theme! It has great bouncing areas and interactive areas for small kids.